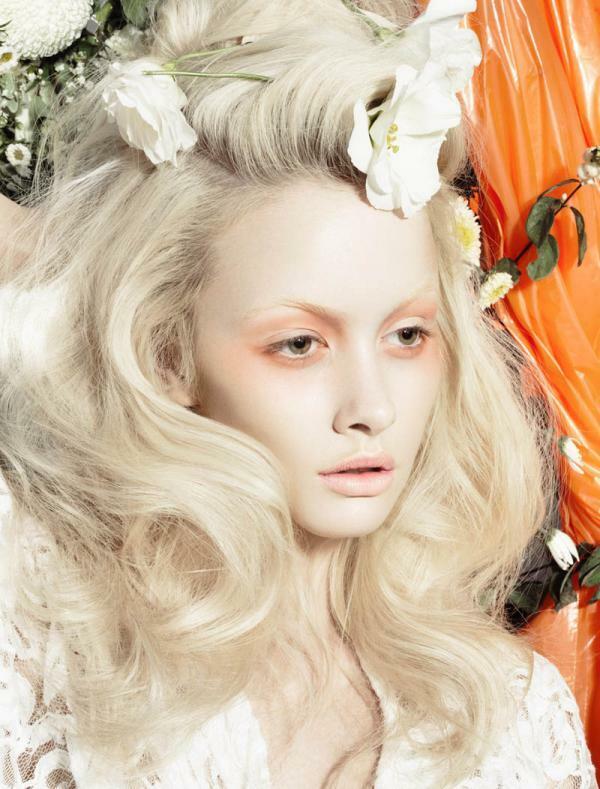 Simone – Henryk delivers a spring beauty story featuring heavenly looks for FGR’s latest exclusive. Starring Simone as a flower wearing vixen, the images showcase seasonal trends such as pink eyeshadow and magenta lips courtesy of makeup artist Amelia Axton. Sweeping curls and an elegant up-do by hair stylist Lauren McCowan complement the floral backdrop. Simone also sports perfectly manicured nails from ShellacMe in the ethereal images.